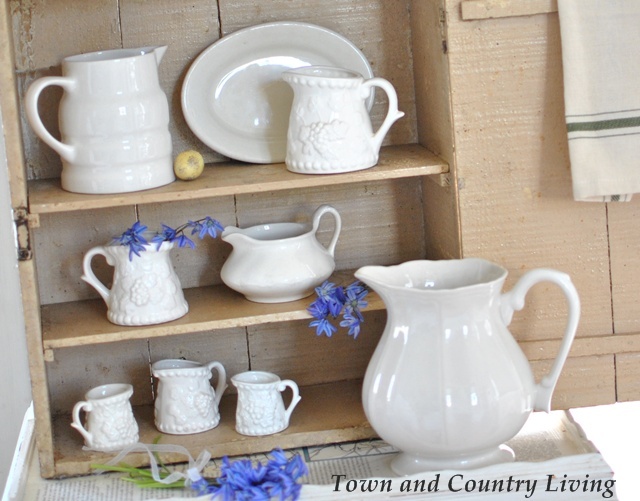 In my attempt to give our old farmhouse a legitimate farmhouse look both inside and out, I wanted to build up a collection of white ironstone. I seem to be drawn mostly to pitchers in all shapes and sizes. 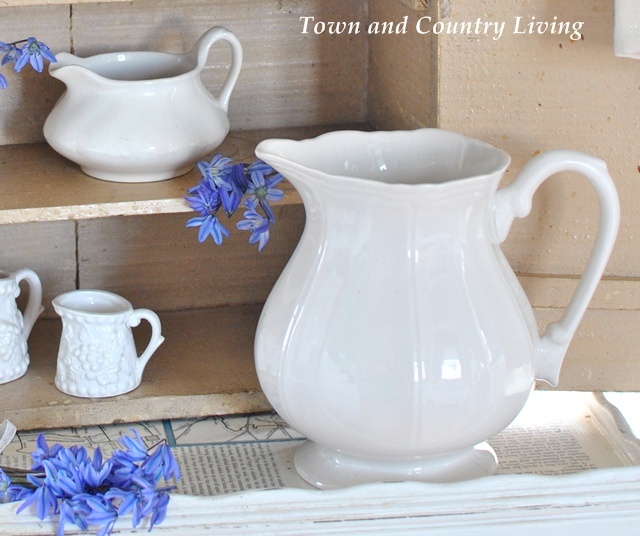 Large ironstone pitchers in pristine shape are quite pricey so I decided to collect a range of sizes so I wouldn’t break the bank. I recently found my smaller pitchers fit quite nicely in a small, shabby cabinet that was stowed away in the laundry room for future use. As you can see, I haven’t hung this cabinet on the wall yet. Still looking for the perfect spot but it will probably go in the kitchen. Some of these pieces are not ironstone but they blend in quite nicely. If you’re a collector, you know you can wind up spending hundreds or thousands of dollar just building your collection. A great way to stretch your dollar is to add similar items that aren’t authentic but pair well with what you’ve got. For example, the creamer pitcher on the left is brand new and cost less than $2, while the ironstone creamer on the right is much older and cost more, as well. The shapes are similar, so I don’t mind that all my white pieces aren’t the real thing. They still look pretty together. I’m trying to find various shapes of pitchers and creamers to add a little variety to the collection. 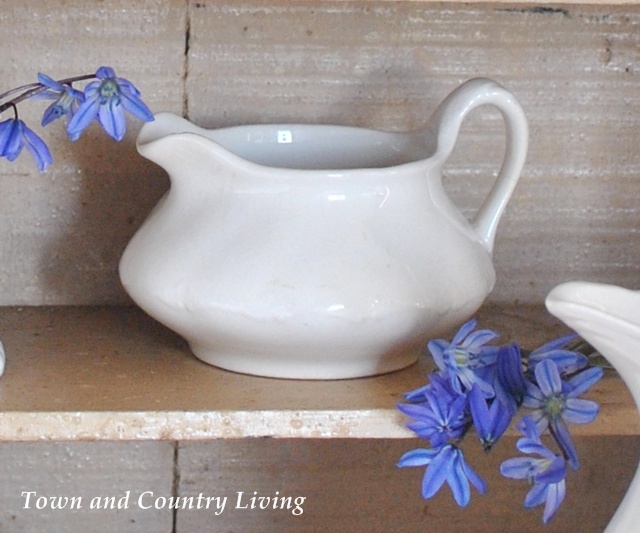 The feminine shape of this Federalist pitcher caught my eye when I saw it on Ebay. When bidding on Ebay, I’ve found it’s best to wait until the last minute to place your bid. This way, no one has a chance to outbid you and you pretty much know what the end price will be. And if you’re like me, you sometimes get caught up in a bidding war and all of a sudden you’re bidding more money than you wanted to pay! I’ve added several of these little guys to my white collection. Found them at the flea market and when I tipped them over to see what their marking was, I was surprised to find out they’re actually measuring cups! They say 1/4 cup or 1/2 cup etc on their bottoms. I was lucky to find quite a few of them on different days at the flea market. I think I have enough of these cute measuring cups for now. 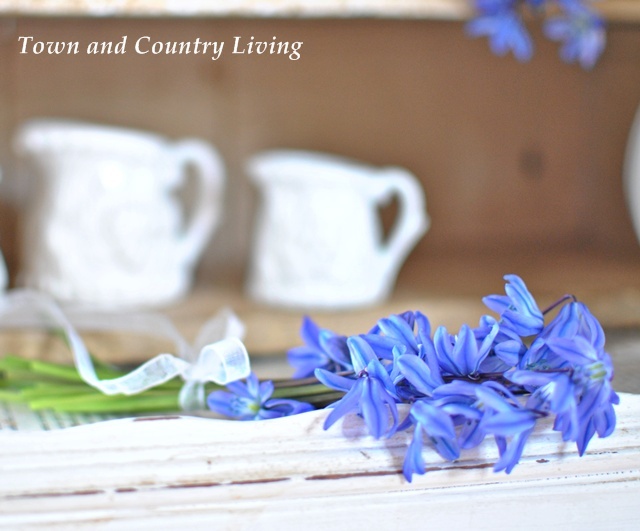 I picked some blue scilla from the garden for the photo shoot. Blue and white is such a classic color scheme! 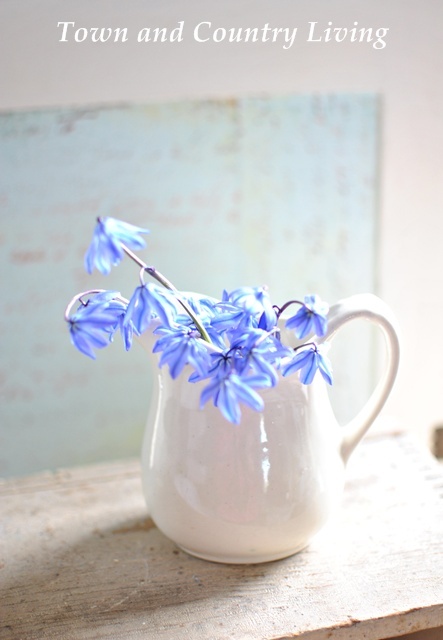 Blue scilla is a bulb-type flower so it only blooms for a couple weeks. Such a dainty flower with a powerful hue! When showcasing pieces in your home, it’s always best to group them together for the biggest visual impact. Pretty colletion! Those little measuring cups are just too cute!! Lovley pictures! I too collect ironstone pitchers, and can’t get enough. 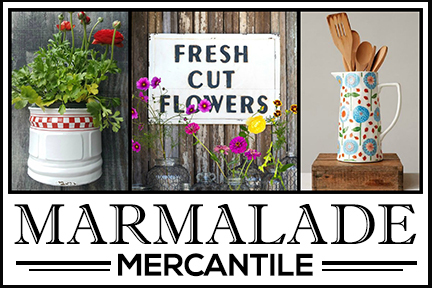 I find it hard to go picking and find then to sell at our shop…..as we (my sister and I) always want to keep them! I have never seen the measuring cups though. Those are adorable! Jennifer, this is a beautiful collection and lovely photos. I, too, love ironstone . . . pitchers, platters, and soup tureens. 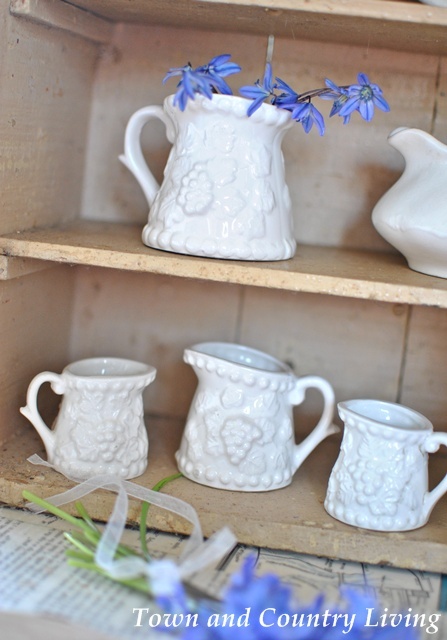 Hi Jennifer…im an ironstone addict too! can never seem to get enough hard to walk away from any vintage piece……….so im a bit overrun! Okay that went through now. Great tips, Jennifer. I don’t know a thing about ironstone (iron? stone? 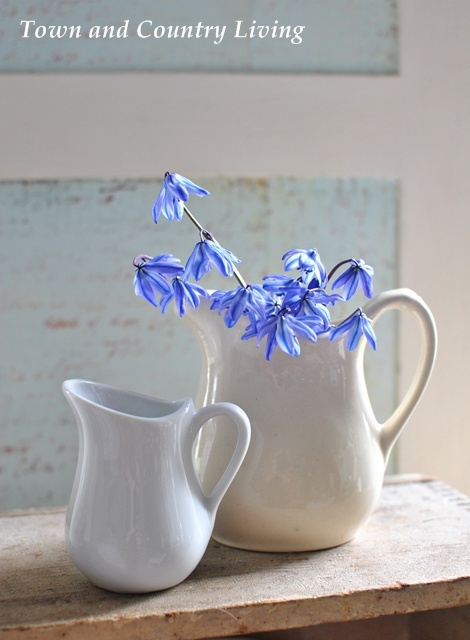 ), but I do know I love your collection, and that Federalist pitcher is absolutely fabulous. I’m inspired to start collecting and now won’t be stuck on whether or not it’s the real thing. Whether or not I love it is what’s more important. Thanks! You have some really cute pieces. The measuring ones are really unique. 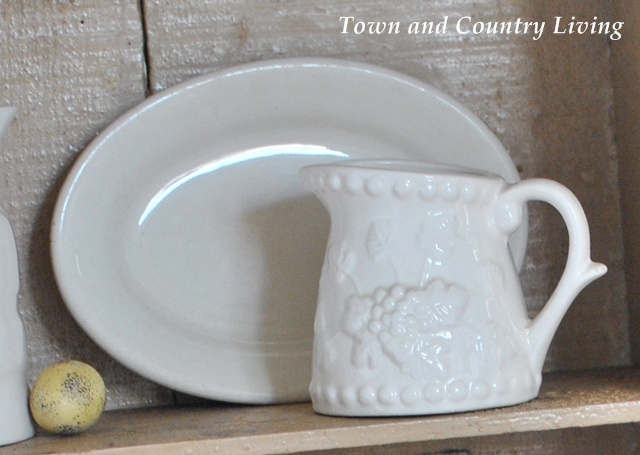 I love collecting white ironstone too, both old and new, for cabinets in our kitchen and dining room. Such a pleasure to look at. 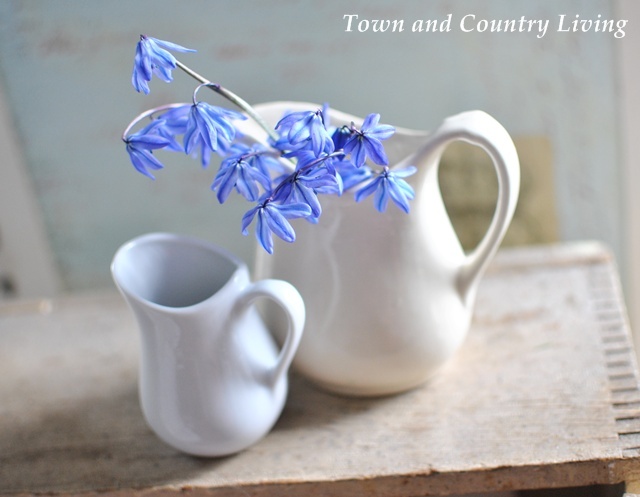 You have a very nice collection of Ironstone and it is beautifully displayed. 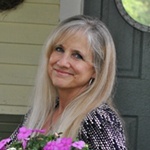 I truly enjoy your blog. So pretty! You don’t find so much here in the UK and it’s not so sought after. I think it was made here and sold in the States.. This is such a lovely collection, Jennifer. 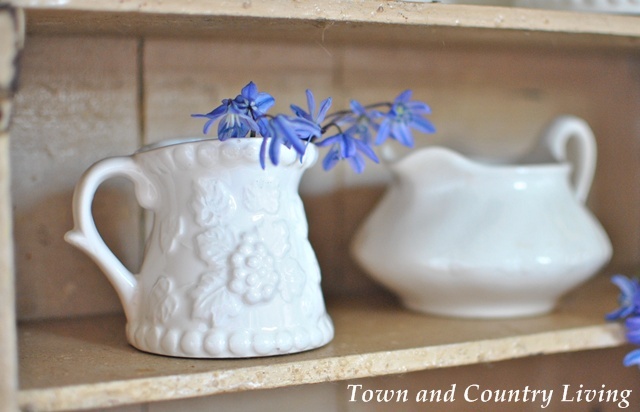 I think mixing the new with some old gives a very charming look to your little shelves. 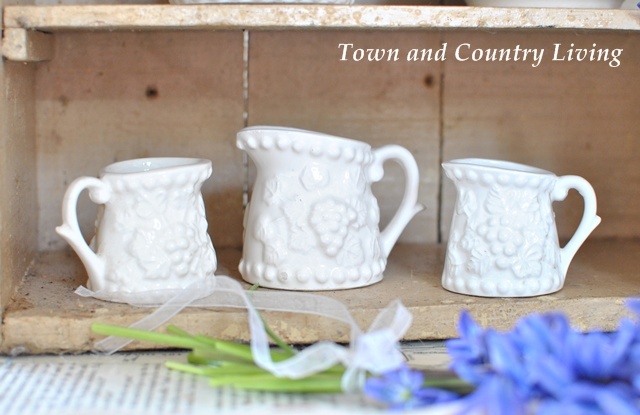 I adore those little measuring cups — ADORE! Oh wow, you really do have some beautiful pieces. I love your vignette showing them all together, so pretty. 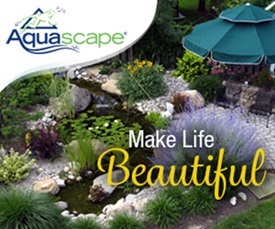 I would love for you to link this up to my Inspire Me party that is ongoing. Those are the prettiest measuring cups I have ever seen!! So pretty! I am loving all the white! I am a big fan of all white dishes…they are so versatile. 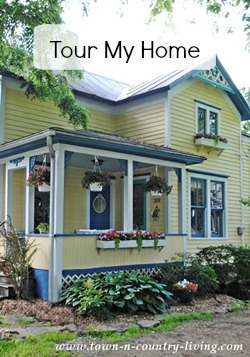 come link up to centerpiece Wednesday on my blog and share your post with us.